How Often Should Matrix Be Used? How To Get Faster Results With Matrix? Should I Hear Music, Voices or Noise When Listening To Subliminal Audios? Does Brainwave Entrainment Help With ADD/ADHD? 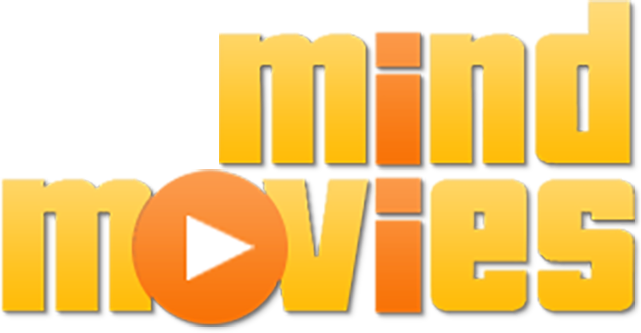 What Makes Mind Movies Matrix Different? What is the Mind Movies Matrix? Does it come in other languages? What if I don't speak English? This report's intention is to give people a clear look at brainwave entrainment (BWE) and its value to us all. "Entrainment" is a term borrowed from physics which simply means the tendency for two vibrating bodies to lock into phase so that they vibrate in harmony. For example, one tuning fork when struck and placed next to another tuning fork will cause the second one to vibrate at the same frequency. What if this same phenomenon could be repeated in training the brain to lock into the vibrations of an outside stimulus? Many scientific studies have shown that this is in fact possible. For centuries people have been using outside rhythmic stimulus in the form of drumbeats, chants and singing to induce various feelings. When the brain is stimulated with pulsed sounds (neuro-electrical activity via the nerves originating from the ears), the overall activity of the brain will respond to and align with these pulses. By selecting the desired rate, the brain via the frequency following response (entrainment) can be naturally induced towards the selected brainwave state. The applications for this technology are unlimited. Stimulation in the theta range appears to be a beneficial approach to accelerated learning. Research also indicates that using BWE in the alpha brainwave range may result in benefits similarly found with Zen or Transcendental Meditation. These benefits extend throughout the body including improved breathing patterns and higher physical energy levels, not to mention an improved outlook, better performance in both sports and career, improved relationships and increased workplace satisfaction. Recently, many studies have shown that the use of guided imagery while in altered states of consciousness can be a very effective stimulant in psycho immunology, corporate performance and sports enhancement. One of the most valuable benefits of regular use of BWE is that we are able to experience and recognize the various states of consciousness. With practice we can learn how to re-create these states. With each pulsed tone, the brain produces an electrical response. The effects one experiences are the creations of the brains reaction to the "tones", what neurologists call the "cortical evoked response" (the electrical response of the top most cortical layer of the brain). The brain is a mass of neurons, each taking part in storing, retrieving and transmitting electro-chemical impulses - information, colors, images, sounds, smells and tastes. Given the lives most of us lead, we are exposed to incredible amounts of information, daily. With BWE, different areas of the brain are stimulated, allowing for the awakening and subsequent release of various stored material, in a sense quietening the mind for clearer thought and process. Deep relaxation is another major benefit resulting from the brains cortical frequency following response. By selecting the desired rate, the brain via the frequency following response will tend to mimic the rate it is exposed to and thus enter that brainwave state. This helps to explain why this technology can produce benefits commonly found with meditation. Our brains produce "sweeping" electrical charges. These charges create rhythms known as brainwave patterns. You can see them with an electroencephalograph (EEG). EEG's record and measure large amounts of neurons firing in unison. Brainwave patterns are commonly grouped into four different categories: Beta, Alpha, Theta and Delta. Each of these brainwave patterns are associated with various states of mind. Beta waves are quick waves of 13 to 30 times per second (Hz). Beta brainwave patterns are generated naturally when we are awake and alert. Alpha waves exist between 8 and 12 Hz. Alpha waves usually occur during rest (e.g. when the eyes are closed), intellectual relaxation, deep relaxation, meditation or when quietening the mind. Alpha waves are the desired results of experienced meditators. Theta waves exist between 4 and 7 Hz. This is commonly referred to as the dream or "twilight" state. Theta is associated with learning, memory, REM sleep and dreaming. Memory development is enhanced while in this state. When in a theta brainwave state, memory is improved (especially long term memory), and access to unconscious material, reveries, free association, insights and creative ideas is increased. The delta brainwave pattern usually occurs when we are asleep. As we fall asleep the dominant natural brainwave becomes delta. Delta waves are the slowest waves ranging from .5 to 3 Hz. All brainwave states serve important mental functions. With today's lifestyle, returning to a peaceful, mind/body way of being is becoming increasingly difficult to achieve and maintain for any period of time. This causes disease in the mind/body, which is why it is paramount for us to "relearn" or "retrain" ourselves to get back to these healthful and rejuvenating states. Experimentation and research on the effects and applications of Brainwave Entrainment are ongoing in universities and with health professionals and educators. The main entrainment frequencies are presented in a professionally mastered environment which does not allow for errors. Each time you hear a click or pop on a recording it is actually interfering with the entrainment process. You need at least 6 full minutes at any desired frequency to allow the brain to entrain to it (This is called the frequency following response). Any unwanted sounds that occur during presentation of the main tone actually get in the way of the entrainment process. As you add (people talking) to the equation, it becomes harder and harder to understand what the original person is saying. It's the same thing with brainwave entrainment... Too many frequencies equal more signals getting in the way of, and disrupting the brainwave entrainment process. Our background is a relative of "pink noise", its actually a combination of specific frequencies that when combined produce a uniform (steady and consistent) background that effectively cancels out much of the distracting noise that may be present when "listening". It is also designed to help ease the entrainment process, not work against it. The "spoken word" aspects of our recordings undergo a unique process that helps to make them a very effective part our system. The "spoken word" is put through special analysis in order to confirm its quality. A specially designed algorithm is then applied to the "spoken word" with specific effects added. There are long "pauses" in the "spoken word" aspect of some of these recordings to allow you to reflect, imagine and internalize a new way of being and thinking. When this is combined with the BWE aspect, and the "spoken word" resumes, a "startle effect" may occur (somewhat like someone talking in your ear suddenly when you are half asleep). To counteract this we have inserted what we call "anti-startle tones" just before each spoken word aspect resumes so that you are not startled. (This is a low tone, sometimes called a "drone" that begins quietly and softly then ends at a similar volume level to that of the spoken word itself. The "tones", "backgrounds" and "spoken word" aspects are mixed together to ensure a harmonic balance of sound, science and technology. A combination that will give you the maximum effects possible. Anyone can use BWE, and anyone who might be struggling in one or more aspect of their lives or living with stress, sleep related concerns, memory or other cognitive issues should. The recordings, follow a strict adherence to past and present scientific research including published and non-published clinical and other studies. Make no mistake, They are based on and backed up by REAL SCIENCE.